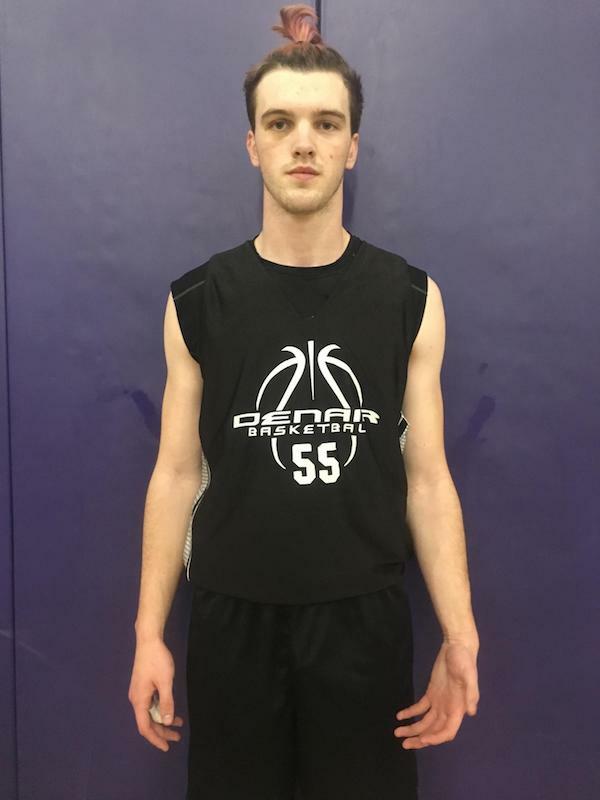 The Denair High School boys basketball team picked a bad night to have one of its worst shooting games of the season, falling to Summerville 55-32 on Wednesday in the first round of the Sac-Joaquin Section Division V playoffs. The Coyotes knew going in they would be physically overmatched by the much bigger Bears. Their best chance to overcome that was to shoot well from the perimeter. Unfortunately, Denair went just 5-for-27 from the 3-point arc while consistently giving up second and third chances on defense because of Summerville’s size advantage. The only Denair player to find the range from 3-point land was Drew Pritchard, who made 4 of his 11 attempts. The rest of the Coyotes were a combined 1-for-16. Despite its poor shooting, Denair trailed by only eight points at halftime and had narrowed the gap to five with about 3 minutes left in the third quarter. But Summerville built its lead to 11 points going into the fourth period and then gradually pulled away. The Denair High School boys basketball will open the Sac-Joaquin Section Division V playoffs Wednesday night in Tuolumne City against Summerville. Tipoff is at 7 p.m. It is the first time the Coyotes (13-12 overall) have qualified for postseason since 2010-11. Denair finished second in the Southern League with a 9-3 record, losing only to league champion Mariposa (twice) and third-place finisher Le Grand. The Coyotes are seeded 11th in the 13-team Division V bracket; the Bears are No. 6. The winner will advance to play No. 3 seed Brookside Christian in Stockton on Feb. 23. Denair has a little bit of history against Summerville (15-11), which finished fourth in the rugged Mother Lode League. The two teams squared off on Dec. 1 in the Riverbank Tournament, with the Bears coming away with a 44-30 victory. The Coyotes have made great since December. With only two seniors on their nine-man roster, the experience the younger players have gained has boosted their confidence – and it shows in the results. 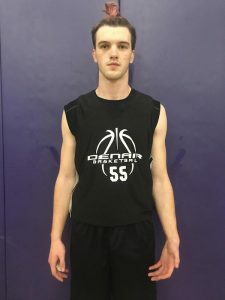 Denair was 4-9 in the preseason, but began to apply some hard-earned lessons when the league schedule began in January. Led by first-team all-SL players Drew Pritchard (15.2 points per game) and Steffin Winston (15.1 ppg, 11.6 rebounds per game), the Coyotes held their own the first time through the league, then caught fire and won five out of their final six games. He expects Denair will travel well next week with at least one rooters’ bus already scheduled to take excited students to Summerville. But beating the Bears will take more than full-throated fan support. Henderson said it’s no secret what the Coyotes need to do Wednesday to pull off an upset. Back in Black is a rock anthem made famous by AC/DC long before any of the players on this year’s Denair High School boys basketball was born. 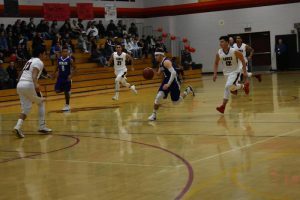 But the title perfectly describes the scene that will happen tonight when the Coyotes – fresh off clinching their first playoff berth in seven seasons – return to their own gym to host Orestimba. The atmosphere – like the classic song – should be rockin’. Denair will forgo its traditional purple-and-white home uniforms to wear trendy black pants and jerseys on what is being billed as “Blackout Night.” Students, too, can get into the act with specially designed black T-shirts featuring the words “The Pack” over the top of a Coyote paw. Coach R.J. Henderson said it’s the first time in his six years leading the team that he’s broken out the black uniforms. “They were purchased before I got here,” he said. “We’ve never used them other than summer league. There are only nine of them. I thought about using them in years past, but we always had more than nine guys. The fresh look comes as enthusiasm continues to build for the young yet seemingly fearless Denair squad, which has rolled to an 8-2 Southern League record with two regular-season games to go. The Coyotes have clinched no worse than second place behind unbeaten Mariposa (10-0), which comes to town Monday night. More importantly, Denair has qualified for the Sac-Joaquin Section Division V playoffs for the first time since 2010-11. The Coyotes will find out next Thursday who they play in the first round, which begins the next night. Denair punched its ticket to the playoffs Tuesday night with a dominating 71-49 victory in Gustine. Junior Drew Pritchard led the way with 28 points, while senior Dylan Mann chipped in 15 and junior Steffin Winston had 12. Possibly as soon as Tuesday night, the Denair High School boys basketball team can accomplish something it hasn’t done in seven years – clinch a spot in the Sac-Joaquin Section Division V playoffs. The Coyotes are 7-2 with three regular-season games remaining on the Southern League schedule. They are two games behind unbeaten Mariposa (9-0), but even more important, they are two games in front of third-place Orestimba (5-4). A victory Tuesday night against Gustine (4-6) would assure Denair of its first playoff berth in R.J. Henderson’s six seasons as head coach. After Tuesday, Denair will be at home for its final two league games – Friday against Orestimba (5-4) and next Monday against Waterford. The playoffs begin Friday, Feb. 16. Depending on how they finish, there is an outside chance the Coyotes could host their first game. More likely, Henderson said, is that they will be sent on the road to play a higher seed. No matter. This year’s players and coaching staff are riding a wave of excitement not felt since 2010-11, the last time Denair qualified for postseason. Last Friday, the school chartered a rooter’s bus for the team’s away game in Delhi. More than 70 people climbed aboard. 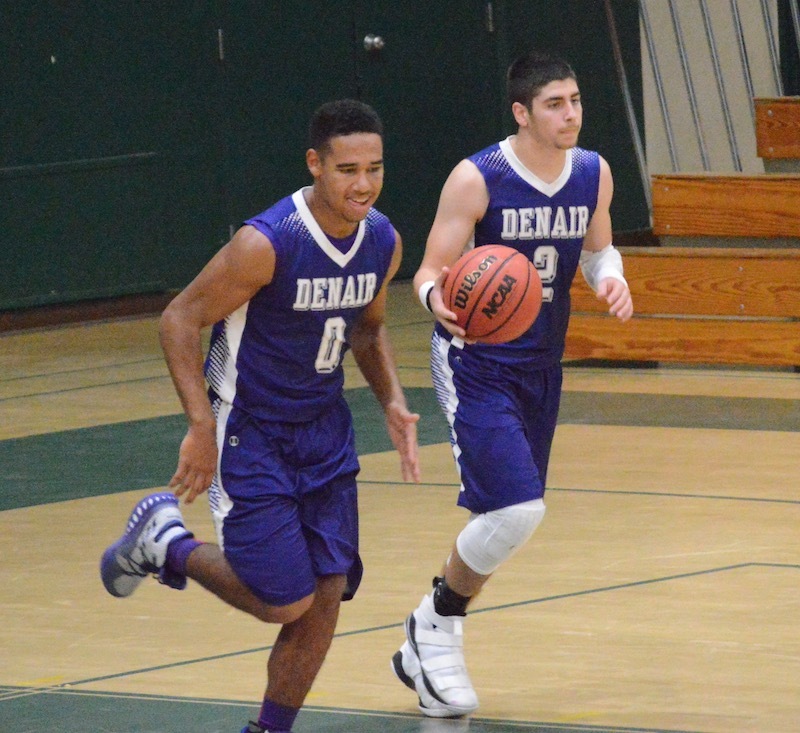 They were treated to a rout – Denair crushed the Hawks 62-35. Seven games into the season and on the eve of hosting their own holiday tournament, Denair High School boys basketball coach R.J. Henderson is beginning to understand his team. The Coyotes are exceedingly young, they are more athletic than they have been in years and they’re still figuring out how to play together. An opening night victory over Turlock Christian was followed by four losses in a row – three of them at the Riverbank Tournament two weeks ago. Then came blowout victories last week over Millennium and Stone Ridge Christian. What little depth Denair has already is being tested. Senior center Dylan Mann – the tallest player at 6-foot-5 – rolled his ankle in Riverbank and may not play until the Southern League schedule begins in January. The other senior, forward Justin Short, suffered a broken nose last week against Stone Ridge. He’s out at least a couple of weeks. That means the Coyotes will have seven healthy players when they take on Waterford on Thursday at 8 p.m. in the first round of the Denair Holiday Classic. Denair’s other games in the round-robin tournament are Friday at 8 p.m. against Turlock Christian and Saturday at 2 p.m. against Hughson.